On this Bike Pic Saturday, if you are in southeastern Minnesota on the Amish Buggy Byway near Harmony, you may have the chance to ride along with a horse drawn carriage. 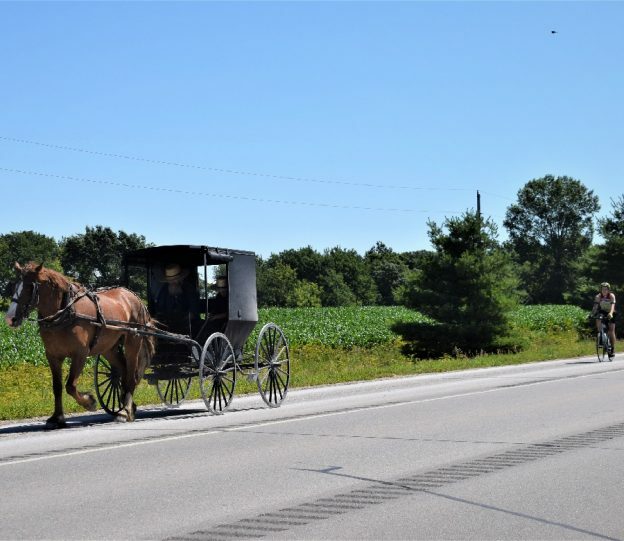 This entry was posted in Picture of the Day and tagged Amish Buggy Byway, Bluff Country, Harmony MN, horse drawn carriage, Minnesota driftless area, MN trails, Multi modal transportation, Saturday fun., Southeast Minnesota on July 7, 2018 by Russ Lowthian. 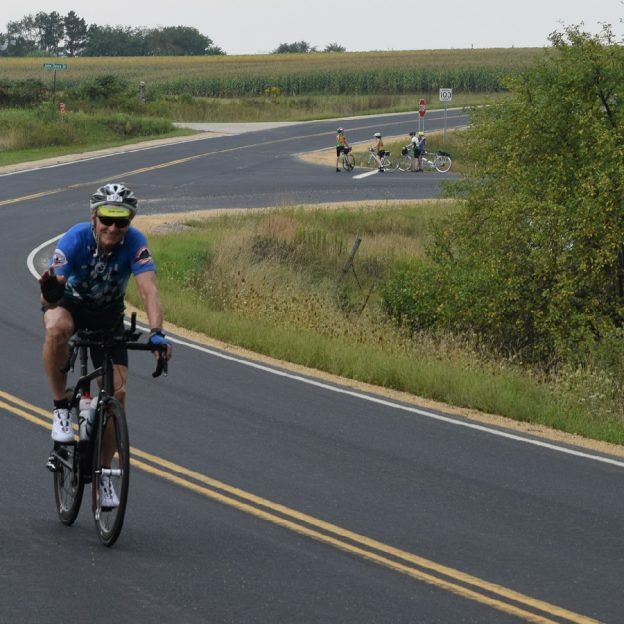 Here we caught a number of touring cyclists enjoying some of routes in Minnesota’s Bluff Country, that will be a part of the LaCrosse Bicycle Festival, September 1 – 4. For your #NextBikeAdventure view all the fun ideas and bike destinations in the latest Minnesota Bike/Hike Guide. Then plan your next outing with family and friends in one of HaveFunBiking’s Destinations. 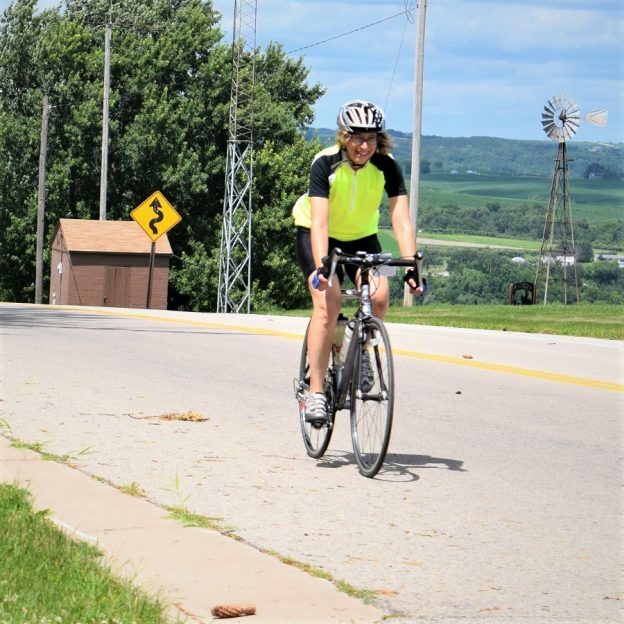 This entry was posted in News and tagged #nextbikeadventure, bike touring, Bluffs & Valleys, Driftless Region’s Most Scenic Ride, fun scenic bike photo opp., God's country, La Crosse Area Bicycle Festival, Minnesota driftless area on July 27, 2017 by Russ Lowthian.